. . . the high expectations for a change in U.S. approach on this issue were barely sustained by the limited commitment of President Barack Obama. Translated from Spanish by Patricia Simoni. Edited by Laura Berlinsky-Schine. Posted on December 8, 2009. The Copenhagen Summit, being held from December 7 to December 18, ought to conclude with the commitment of major developed nations to reduce carbon dioxide emission in progressive rates until 2050. The country with greatest production of carbon dioxide per capita in the world, the United States, promises a reduction of only six percent of 1990 levels by 2020, despite the fact that scientists argue that this reduction should be between 25 and 40 percent. 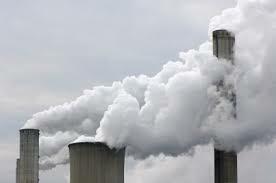 The main problem, according to scientists, is that to avoid a two-degree rise in average global temperature - a disastrous consequence for the planet - the most industrialized countries need to limit carbon dioxide emissions in 2020 to between 25 and 40 percent above 1990 levels, while developing countries should limit themselves to increases of 15 to 30 percent. After former president George Bush denied that global warming was a result of human activity, the high expectations for a change in U.S. approach on this issue were barely sustained by the limited commitment of President Barack Obama. His announcement to provide, for the first time ever, a reduction in gas emissions - subject to Congressional approval - raised some hope; however, his decision to attend only one day at the Copenhagen Summit during the first week, when no other heads of state are present, reawakened criticism. "This is not about a photo opportunity, but about getting a global agreement to stop global warming," Greenpeace commented. "Obama should be here at the same time as other leaders." Swedish minister for the environment and rotating minister of the European Union (EU), Andreas Carlgren, stated in a welcoming address, “The U.S. offers to cut emissions," but added, "I regret, however, that the level is not very high; previous estimates indicate that the U.S. can do more. " Obama will come on December 9, the day before he collects the Nobel Peace Prize in Oslo. The Swedish minister explained in his statement that he understands Obama's visit "raises expectations," but adds, "I expected him to participate in the meeting of heads of state and government” at the end of the summit. Director of the climate program for the World Wildlife Fund climate program, Keya Chatterjee, observed that Obama’s presence "in the final days of the Copenhagen Summit is necessary to ensure proper commitments; we hope the president is willing to return to Copenhagen with the rest of world leaders during the final stages of negotiations. " The U.S. is the second largest emitter of polluting gases in the world (the first, per capita), second only to China in total volume, yet it failed to sign the 1997 Kyoto Protocol, implemented in 2005 to slow the pace of global warming. The gases referred to in this text are carbon dioxide, methane, nitrous oxide, sulfur hexafluoride, hydrofluorocarbons and perfluorocarbons. The Kyoto Accord required the 37 industrialized countries that ratified it to reduce greenhouse gas emissions to volumes 5.2 percent below their 1990 levels, by 2012. The Copenhagen meeting was convened to agree to a new treaty that surpasses the one signed in Japan. Although then-President Bill Clinton signed the Kyoto treaty, it was never ratified by the Republican-majority Congress, with even less chance for ratification during the administration of George Bush. The 17 percent cuts in emissions proposed by Obama, a progressive reduction, reaching a 85% reduction in 2050, are based on the U.S. emissions in 2005, rather than 1990, the date fixed by the Kyoto Treaty as the basis for all proposals. When adjusted for that year, Obama's offer is reduced to a meager 6 percent. The figure, compared with the offers from other countries, including those not bound to a significant reduction, seems ridiculous. Earlier this year, Britain proposed a 34 percent reduction by 2020. Shortly after, Japan pledged a decline of 25 percent, both with respect to 1990 levels. Brazil recently announced it was willing to reduce its emissions between 38 and 40 percent by 2020, although as a developing nation, it could be offering less than half. The EU has offered a reduction of 20 percent of its emissions, relative to 1990, and claims to be willing to reach 30 percent if other industrialized countries commit to similar figures. Scientists maintain that they should offer reductions between 25 and 40 percent. Two weeks before the summit, the government of the People's Republic of China announced its pledge to reduce its energy intensity between 40 percent and 45 percent by 2020, doubling its initial offer. In addition, Premier Wen Jiabao announced he will attend the meeting in Copenhagen. The State Council, China's cabinet, aims to reduce its carbon intensity - or the volume of gases emitted, by each percentage point of gross domestic product (GDP) - between 40 and 45 percent by 2020. "We will have to pay a high price to meet our goal," Xie Zhenhua told a press conference on Thursday; Xie Zhenhua is vice chairman of the governmental National Commission for Development and Reform Commission, responsible for planning programs of this country. In addition, Beijing imposed a condition: It is an internal commitment to be incorporated in medium and long-term development plans, which will be monitored locally. It is a voluntary goal of an obligatory nature toward the international community, he added. "We have made a commitment, and the Chinese keep their word," said Xie. As a developing nation, China is not obligated to limit its emissions; maintaining this advantage will be one of the objectives of any new agreement that emerges in Copenhagen to replace the Kyoto Protocol.